This is a great time to visit Milan, Italy, which is hosting the Universal Exhibition iExpo Milano 2015 through October 31, 2015. Over a six-month period, Milan is being transformed into a global showcase where more than 140 participating countries are showing the best of their technology that offers a concrete answer to a vital need: being able to guarantee healthy, safe and sufficient food for everyone, while respecting the Planet and its equilibrium. Visitors will not go away hungry because everyone will be given the opportunity to find out about, and taste, the world’s best dishes, while discovering the best of the agri-food and gastronomic traditions of each of the exhibitor countries. There is also a special “Expo and “Regions” that allows discovery of the excellence of Italian produce from 25 taste and culture itineraries around the country. For starters, find hotels in Milan that fit your timeframe and budget. You will find no more convenient way to visit the Expo than our special Milan Expo 2015 Entrance Ticket and Shuttle plus Milan Hop-On Hop-Off Bus. And while you are in the area, this would be a perfect opportunity to see some what we believe are the most beautiful locations on Earth by taking some of the tours out of Milan. 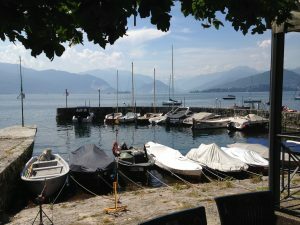 Here is a complete list of Day Trips and Excursions in and from Milan. We know you are sure to find something that suits. Enjoy your trip to the Expo, and let us know what you think by posting your travels to our Savvy Traveler Facebook page.